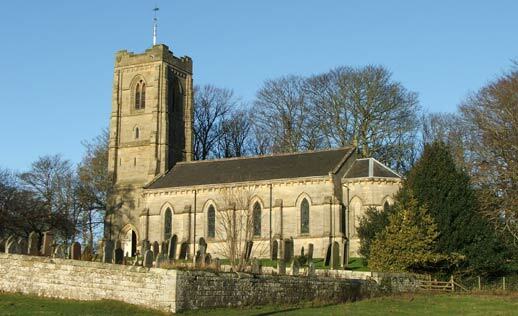 A fine 1840’s Anglican Church designed by B&J Green of Newcastle to form the focus of a new parish split off from the very large Hartburn Parish, Holy Trinity Church in Cambo has had a number of phases of repair and re-ordering since the 1960’s when Dry Rot was found in the Sanctuary roof and the wainscot panelling round the Nave and Choir Walls. 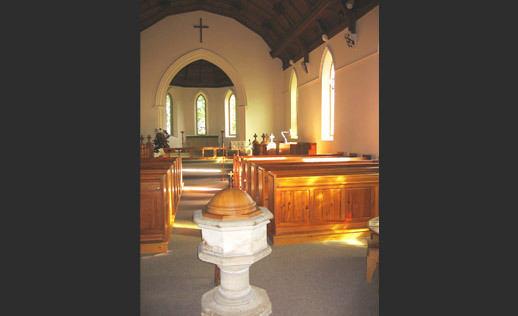 New pews were introduced and the whole interior redecorated, later fitted throughout with carpet. A fine new font cover was designed as a replacement and made by a local cabinet maker. More recently, work has focussed on the graveyard with many headstones being repaired and re-set. The outer gates have been carefully repaired and refitted and York stone paving laid as a frontispiece to the main entrance at the Tower. 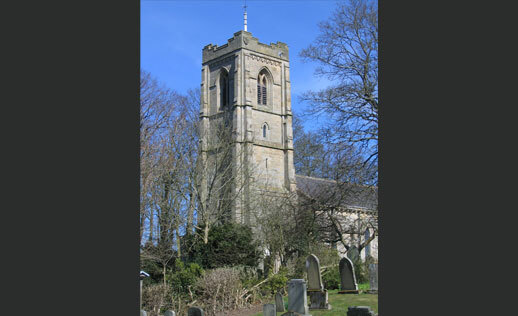 The major project however involved the replacement of the lead covering to the Tower roof and the installation of a new pole for the weathervane while the external walls of the Tower were repointed and the lightning protection upgraded to contemporary standards. The Nave parapet gutters and the Sanctuary roof were reconstructed in the 1980s. The Tower was fully repointed in 2002.